What conditions inspire or impede progress? Can we overcome resistance and inertia to do business differently, together? What will it take to harness the opportunities that new patterns of health investment could yield? Even to those with grand ambitions, the obstacles can seem insurmountable, the resources too limited, and our collective will too tentative. And what’s worse: skepticism itself can impede any effort to depart from the status quo. Very often we tend to fear the financial implications of any new direction as a way of protecting today’s bottom line. And there is a long list of similarly deeply-seated conditions that can stand in the way of progress, such as: organizational and financial fragmentation; entrenched partisan division and gridlock; fierce competition that pushes health care professionals toward expensive and often excessive services; historical disinvestment in the social and economic conditions that support equal health for all; as well as a steady erosion of the democratic principles and civic muscle that might allow us to collectively manage our common health systems in ways that better fulfill our values and priorities. After more than a century spent building a healthcare industry focused mainly on individual services and the power of particular institutions, the very notion of health as a common concern or a cause for public work can seem very foreign. Align local and larger influences. Regional leaders have great latitude to shape how health care is delivered, what it costs, the extent to which people are vulnerable to health problems in the first place. At the same time, wider policies set by state, federal, professional, and corporate bodies could inspire, enable, and at times incite greater regional innovation through processes like payment reform and new kinds of financing as well as focused experimentation and learning. Take a wide-angle view of health as a multi-sector dynamic system. Health, health care, and most other spheres of social policy are inextricably intertwined, involving many more sectors, actors, and funding streams than just medical care. More options and more resources—as well as more friction and complexity—often come to the foreground when taking a broader, place-based view of the entire health enterprise in a region. Develop regional stewardship for local health economies. Collective governance could allow for broader, regionally focused decision making around health system strategies and financing. Commit to cycles of repositioning, investment, and reinvestment. The decision to use resources differently and allow time for structural changes to play out may lead to the realization that when resources better match stated priorities they tend to compound over time and become more abundant rather than scarce. Reframe the true function of financing. It is easy to think finances limit or constrain what we aspire to do. But the true purpose of financing, in any organization, is to be a conduit that carries ideas into action. When an idea is widely valued and deemed worthy of investment by persistent champions, then the necessary finances begin to flow, albeit sometimes slowly and inadequately. Improve discipline and remain undaunted when investing for whole-scale health reform. It may not be possible to steer the health system in new directions through short-term, lopsided efforts that are funded on a shoestring. Because health care is often close to 20% of the entire economy in a region, those who champion change will have to muster enough money and master a more complete menu of fiscal tools so that the resources to drive transformation are both strong enough and in place long enough to yield their full effects. 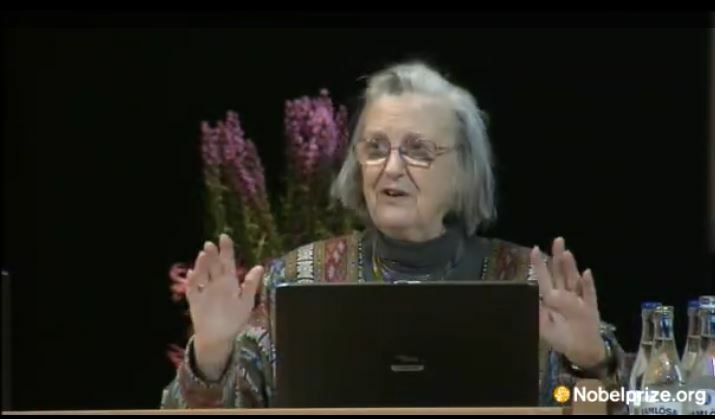 One of our founding ReThinkers, Elinor Ostrom, won a Nobel Prize in Economics by demonstrating that it is possible to sustain precious resources—even in sharply contested circumstances—through an inclusive commitment to shared stewardship. She showed that when it comes to governing common resources, it is often better to devise a set of widely shared democratic practices, rather than seek solutions from a strong state or an unchecked market. These and other hard-won insights from veteran changemakers provide some of the most reliable guidelines for navigating confidently within a health system that is so hotly contested and constantly in flux. In the next section, we consider how several hundred multi-sector partnerships across the country have been framing and financing their work.